8.75 Acres of Beautiful Wooded Land 12mi from Marinette Off Hwy 180. Unique property with High Ridges and a private Valley in the middle. Just needs the right person to come along and build the perfect cabin or home, or use as a weekend camp site. 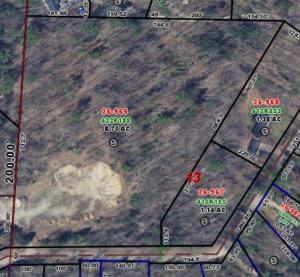 Older Gravel Pit on one end, access to property off Twin Pine Ln & Twin Pine Circle. Property recently surveyed & corners/lines marked. Electric/Natural Gas/Phone avail at the road. Property has no improvements or installed utilities. Beautiful Land ~ Must See to Appreciate.